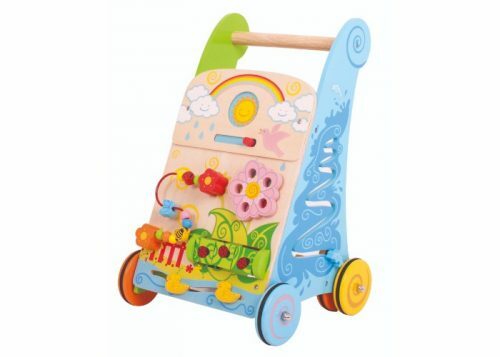 This delightful Taf Toys Cot Play Centre is uniquely designed to grow with your child in 3 developmental stages – Stage 1: 0-3 months – Positioned vertically on the cot-side so new-borns will be fascinated by the bright colours and beautiful hanging characters, helping baby to focus and develop visually. Stage 2: 3 months + – Hanging horizontally on the cot-side, tiny fingers can explore and experience the many delightful textures whilst enjoying tummy-time play. Stage 3: 9 months + – Enjoyed as an activity book when baby becomes more mobile and begins to sit up and play on the floor. 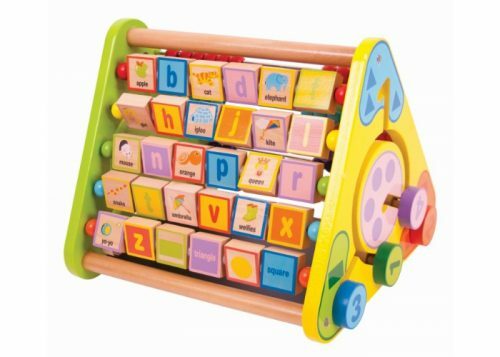 The Cot Play Centre features an array of engaging elements, including hanging shapes with activity pockets, non-repeating music, lights, crinkling shapes, clear ball rattle, plastic rings, peek-a-boo flaps and a baby-safe mirror, all of which help to develop baby’s motor skills, senses and emotional intelligence at each stage. 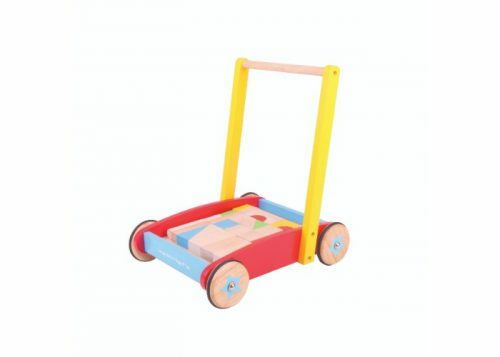 It fits easily on most fabric and wooden cots, and is easily attached by means of 2 removable clips with 2 height options, plus an angle strap for when used in the vertical position.